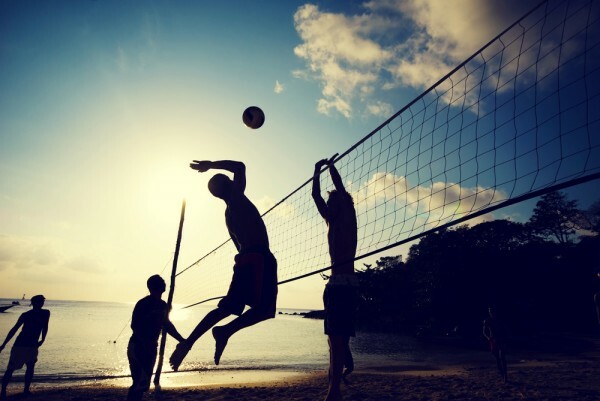 If You Sustain A Sports Injury While Playing Beach Volleyball, Can You Recover Compensation? On behalf of admin of JML Law, A Professional Law Corporation posted in Sports Injury on Friday, Jun 29 2018. Beach volleyball is arguably the most popular beach sport played all across the world during summer. Although people engage in other kinds of sports on the beach, playing volleyball is by far the most fun and entertaining way to do something other than sun tanning and swimming. In volleyball, there are winners and losers. But there are also those who were injured during the game and those who were not. People in San Francisco and all across California often arrive at the emergency room in nothing but their swimwear complaining about sports injuries sustained during a volleyball game on the beach. But are you actually entitled to compensation if you were injured while playing beach volleyball? This is the question many injured people ask the best lawyers in California. And today, we invited our Los Angeles sports injury attorney from the JML Law to spell the beans. Is it possible to sue a beach volleyball player who injured you? First and foremost, it should be noted that you can get injured on the beach even if you do not play volleyball or any other sports. You can be struck by other volleyball players or the ball while spectating or not paying any attention to the game at all. Under California’s personal injury law, you cannot sue other parties for a sports injury if you assumed the risk of getting hurt by participating in a certain activity. That means you will most likely not be able to file a personal injury claim against a volleyball player who injured you while playing beach volleyball unless he or she engaged in reckless behavior or did it intentionally. Who can be held liable for your beach sports injuries? So if you get elbowed in the nose while playing volleyball, or collide with your teammate and suffer a fractured bone, or simply strain your leg muscles because the other player hit the ball too hard, you will most likely not be able to recover compensation for your injuries, damages, and losses. After all, you assumed all of these risks when you decided to take part in the volleyball game. However, it still might be a good idea to let an experienced lawyer review your case, as sometimes it is possible to sue the at-fault party for your injuries sustained while playing volleyball. “Many people do not realize that you do not necessarily have to bring a lawsuit against other players, as the owner of the beach or parties responsible for the inspection or maintenance of the beach may be held liable for your injuries under the legal theory of premises liability,” explains our Los Angeles sports injury attorney. What is reckless or intentional behavior? Also, do not forget that you can still sue other volleyball players or even your teammates for intentional or reckless behavior, which resulted in your injuries on the beach. While you do assume the risk that other players may unintentionally and unknowingly injure you during the game, you do not assume the risk that some person will recklessly or intentionally cause you harm. While intentional acts are rather easy to establish in a personal injury lawsuit if there were witnesses (e.g. other volleyball players), it may not be as easy to prove that the at-fault party acted recklessly and that this recklessness caused your injuries. What might be reckless to one person may not be “reckless” to another, which is why it is important to consult with experienced lawyers about your particular case. Contact the JML Law for a free case evaluation. Call our offices at 818-610-8800 or fill out this contact form to get a free consultation.